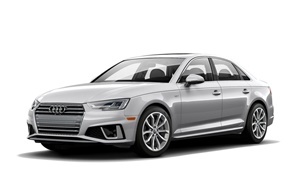 Considering an A4, Passat or even the new VW Arteon. Looking to buy in 2018, but just starting the research now. Thoughts or suggestions on a nice family sedan that isn't terribly expensive and good quality. We do quite a few roadtrips a year and commuting to and from work so car should be comfortable and drive nice for everyday use. Yes, I am partial to European cars as my other SUV is Japanese. 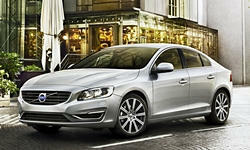 I suggest taking a look at the Volvo S60 before making any final decisions. They feel as solid as a bank vault and you will not find better seats in any other car at any price! Volvo's CPO program is rated as one of the best and has great warranty coverage. Consumer Reports has the 2017 Audi A 4 at the top of the list, by far, in the segment. VW Arteon looks to be a great choice when it comes out next year. 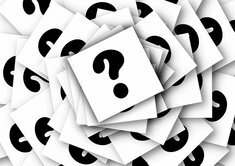 Of course buying a car in it's first year can sometimes be a dice roll as far as reliability. It does ride on the excellent MQB platform which the Golf, TT and A3 currently use. The U.S. spec Passat shifts to the MQB platform in 2018, so it should be less bland once the change is made. I love the A4, but it is a bit smaller on the inside than the Passat, if that matters to you. Interior is beautiful and handling will probably be nicer. It has a proper longitudinally mounted engine and arguably a nicer AWD system than the MQB based cars. These cars are also substantially more expensive than the VW's. While not German, Volvo has certainly stepped up it's game as of late, and I agree that the S60 should at least get a test drive. It might be a tad less sporty than the German's but for long distance cruising, Volvo's interior comfort and seats are legendary. It's dimensions probably compare to the A4, which is to say smaller than the Passat. Thanks for all the inputs! 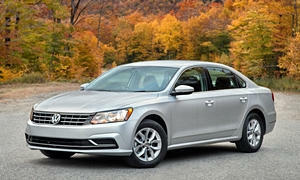 I will keep the S60 in mind when test driving for sure. As mentioned above, the S60 is closer in size to the A4 than the Passat. But it's worth noting that the S60 now comes in two sizes (as of 2016)- the standard S60 and the S60 Inscription (which is 3-inches longer, with all the space going to rear seat legroom). Another difference with the Inscription: unlike the regular S60, it's made in China, one of the first cars to be imported from there. This makes a difference for some people. I rented a S60 two years ago and put around a 1000 miles on it. I am not impressed easily and this one did impress and it was just the base model with the 5 cylinder engine. The Audi A4 engine on the other hand is not impressive. You didn't mention handling as most German cars handle well. 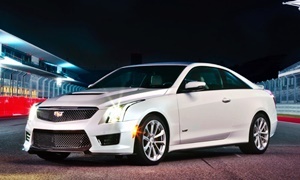 The Cadillac ATS 2.0T is a pure joy to through at the curves or to do track day events. 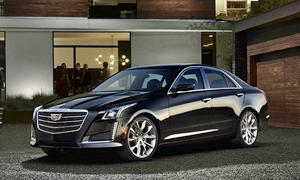 The CTS Vsport on the used market if you want 430 horsepower.